Every family makes claims of genealogical greatness, but only ours holds credibility. Right? Actually, there’s some merit to that humorously biased statement. For us, our genealogy truly is great because it belongs to our family alone. It connects us to our past, impacts who we are today, and preserves our heritage for the future. So this week we’re going to introduce a study of the Amos Boys’ genealogy. In the weeks ahead we’ll look at their maternal family, and later in the year, we’ll do their paternal family. 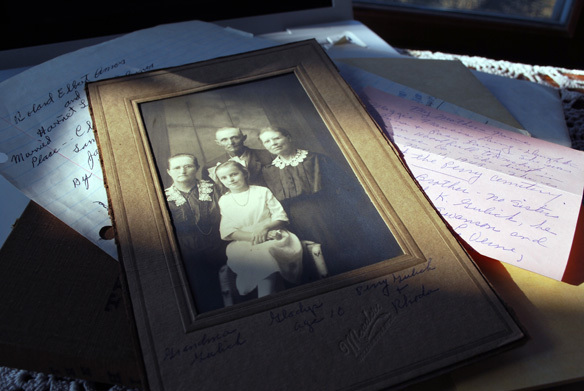 How many of you are genealogy geeks? I’ve been since my early 20s, when Grandma Gladys sent me an old family photo. Over the years, I’ve acquired bits and pieces here and there and shoved them all into a box. Nowadays, I just go to Ancestry.com and everything’s available in a handy database. It kind of takes away the thrill of historical sleuthing, but who has time for that anyway? Jerry’s into genealogy too. He’s much more meticulous than I am, and he’s done extensive research on his maternal side. Gulick, as you may know, is Gladys’ maiden name. And then there are names like Laing, Holmes, Van Ortwick, Cocoran, Mottinger and Beaumont. Obviously, we’re a great mix of people coming from many places. If you’re interested, sign up at Ancestry.com. You can subscribe for a monthly fee, or you can go to your local library and access it for free. Peter Laing, founder of the hopping metro of Laingsburg, MI.